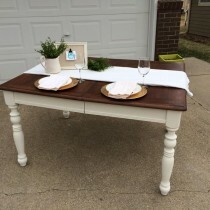 Perfect for a sweethearts table, dessert, guestbook, you name it! 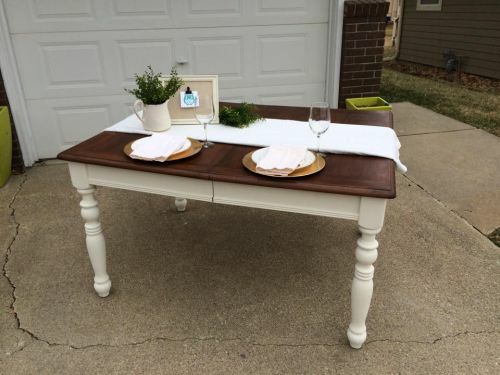 This beauty is unique to Pella rental – once a table that needed some serious TLC, has been given a fresh look! Add the Ivory Settee for a Classic sweetheart table!